5 Old School Blogging Tactics That No Longer Work | GUI Tricks - In Touch With Tomorrow! 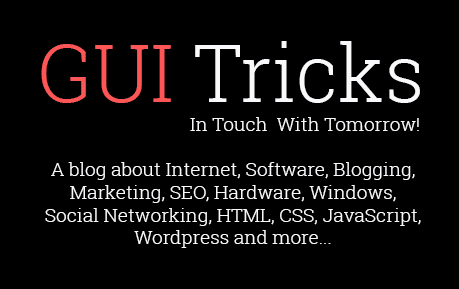 5 Old School Blogging Tactics That No Longer Work - GUI Tricks - In Touch With Tomorrow! The history of blogging lasts for more than 20 years now. Blogs have become one of the most important forms of marketing content during this period, which is why we have almost 500 million active bloggers nowadays. However, blogs have also changed drastically since the time they first appeared online. Although there are still some old rules which apply to modern blogging, a lot of traditional mechanisms became obsolete in the meantime. If you are running a blog and want to see it growing steadily, you should know these principles and eliminate them from your writing. In this article, we will show you 5 old-school blogging tactics that no longer work. There is a whole bunch of old blogging rules which don’t function anymore. Some of those rules seem to be debunked by now but some remain more or less intact despite their retrograde nature. That’s why we decided to reveal 5 most persistent blogging methods that just don’t do bloggers well anymore. Let’s check them out here. Most bloggers believe that posting articles 5 times a day will be enough to increase website traffic and improve blog’s search engine ranking. This used to be the truth a long time ago when there were not too many competitors around you. But today, blogs are available to everyone and each marketer can do just the same thing as you do. For this reason, you need to change the tactic and go beyond writing several posts on a daily basis. What you should do now is focus on quality instead of quantity. According to the recent study, more than 60% of U.S. consumers make a purchase based on recommendations from a blog. This doesn’t happen because bloggers write vaguely and superficially. On the contrary, modern readers trust only well-researched and high-quality articles. As a blogger, you should stop thinking about writing as many posts as possible and start focusing on creating valuable and appealing content instead. Do the research and cover your topics from all angles – users will appreciate your effort and searching engine ranking will improve naturally. Of course, it doesn’t mean that you can make one post a month but one topic weekly will be enough if you do it well. Most bloggers write comments about their colleagues’ posts, adding links to their own articles along the way. This used to be a routine blogging tactic for a long time but now it generates below average results due to the abundance of bloggers who are doing exactly the same thing. For this reason, some of the most influential blogs decided to disable comments under their posts. Our advice to you is to switch from making comments to writing full-length posts dedicated to inspiring topics from other bloggers. This way, you will prove analytical skills and gather the much-needed attention of your colleagues’ audiences. If you want your blog to be recognized as an authoritative source of information, you have to dedicate all your time and creativity to make it perfect. However, it looks like almost half of all marketers actually outsource content creation these days because they are not able to handle all duties alone. This is not a good option for professional bloggers anymore as your followers expect to see your own unique style of writing. They follow your posts because they believe you have something better to give them. It could be a different viewpoint or a groundbreaking idea. Perhaps you always have new statistical data to support your claims. Whatever it may be, it’s only yours and you don’t want to let it run away from you. Build your reputation and style and you’ll be able to keep the blog attractive in the long run. The days when a simple text was enough to make a blog successful are long gone. No matter how proficient and eloquent you are, it will be impossible for you to grow the number of followers without multimedia content. A recent research proved that articles with an image once every 75 to 100 words receive twice as many social shares as articles with fewer images. Bearing in mind that video content already makes an absolute majority of Internet traffic, it is clear that you need to embrace multimedia as the means to boost the ranking of your blog. You don’t have to make videos, infographics, and images a central part of your post. It’s enough to add it to your text as the way to support your opinion and you’ll notice a higher traffic soon enough. Guest blogging used to be a great tactic to present yourself to the wider audiences. A few years ago, writing guest articles for Forbes or Huffington Post could establish you as an industry thought leader and make your blog ultra-successful. It was enough to make you a blogging sensation. But in 2017, you can hardly become a blog star writing for the famous websites. That’s because these pages hire a lot of guest bloggers and publish dozens of posts each day. In such circumstances, it would be better for you to focus on less popular but highly authoritative websites. Just stick to your field of interest and you’ll get the opportunity to attract target users through guest blogging. Blogging is one of the key elements of contemporary marketing strategies. However, most bloggers are not following the latest developments in this field, so they still use a bunch of old tactics to increase the awareness of their blogs. In this article, we debunked 5 old-school blogging rules that no longer work. Keep our suggestions in mind while writing posts and rest assured they will bring you a lot of benefits very soon. Amelia White. With years of experience in the field of self-publishing, she enjoys a solid and successful career. Apart from practicing the profession, White also enjoys writing about productivity and motivation. .
How guest blogging can help to increase traffic? Yes, you may increase traffic via guest blogging. Sometimes even in a huge amount.